A bespoke specialised product for the individual, made from a flexible material and stiffened with bones or stays. 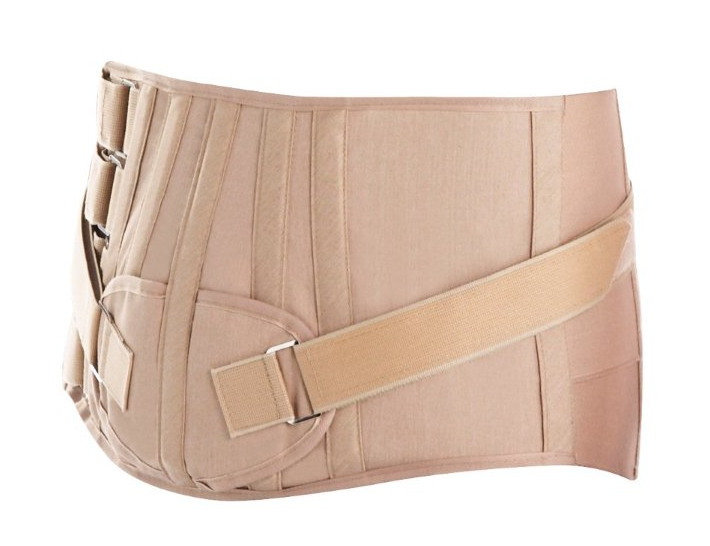 Spinal corsets or abdominal supports are used to control and support the spine and pelvis. They can be used to stabilise and limit movement of the joints, and soft tissues in the back, support weak muscles, and provide support to structural weakness of the spine. Fabric supports are classified in two main ways, either by the area that they are to support, for example LS Orthosis (supporting lumbar and sacral spine) and­/or as either custom made (bespoke) or off the shelf (stock) devices. Gaiters are available in a variety of fabrics as either stock or MTM products for the arm or leg.